“@Vishalkofficial Machi pls help”, cried an alarmed director Venkat Prabhu through his Twitter account last night. 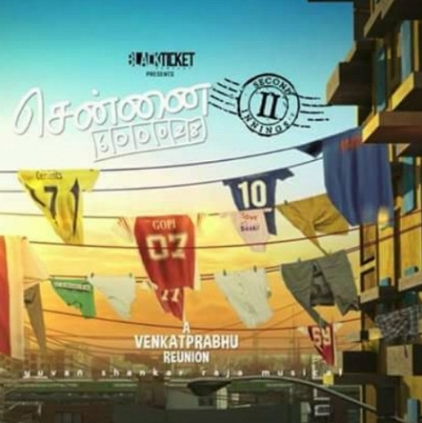 The cause for his late night blues turned out to be a torrent site which listed out his yet to be finished sequel, Chennai 600028-2nd Innings for free download. The director’s cause for concern is understood from his perspective that such events show that his next movie is being eyed upon by online hawkers for being pirated. “@vp_offl. Bro this shud b a group effort. One person alone cannot achieve this. prod council are stil yet to take a strong dec”, replied actor Vishal who has been making serious efforts to put an end to movie piracy. People looking for online information on Actor Vishal, K Venkat Prabhu will find this news story useful.